Kuwait City, December 2018: A new report from the global research and consultancy firm Oxford Business Group (OBG) looks in detail at Kuwait’s efforts to diversify its economy and develop key sectors earmarked for growth, including manufacturing and telecoms. The Report: Kuwait 2018 tracks the drive under way to boost the role played by the private sector in a raft of infrastructure projects, which are needed to support the country’s industrial development. It features in-depth coverage of the myriad transport initiatives in the pipeline, including roads, bridges, ports and airport expansion plans, which will be pivotal in helping Kuwait to address congestion and connectivity issues. OBG also shines a spotlight on the country’s rail transit system, which, together with other transport initiatives, is expected to be instrumental in helping the country make the most of its strategic location and carve a niche as a regional hub for international trade. In addition, the report considers the rising demand for homes that are needed to accommodate Kuwait’s growing population and the positive impact this is having on the country’s construction sector. 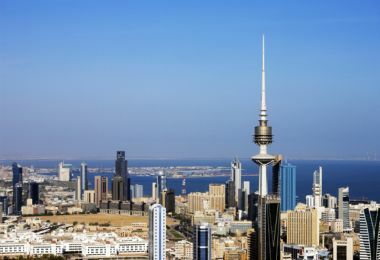 With ICT development identified in Kuwait’s 2035 strategy as a sector ripe for investment, OBG’s report examines the key developments that are expected to support tech growth, such as the rollout of 5G, which will pave the way for the launch of new network services and further innovation. The publication also highlights the opportunities that are continuing to emerge across the energy sector, on the back of the government’s ambitious production targets for oil, gas and refining operations, and increased focus on the petrochemicals segment. Commenting ahead of the launch, OBG’s Editor in Chief and Managing Editor for the Middle East, Oliver Cornock, said that Kuwait’s longstanding practice of using oil revenue to build a deep portfolio of global investments had ensured it was in a strong position to push forward with its diversification drive and attract foreign investment for the country’s projects, even when oil prices were falling.